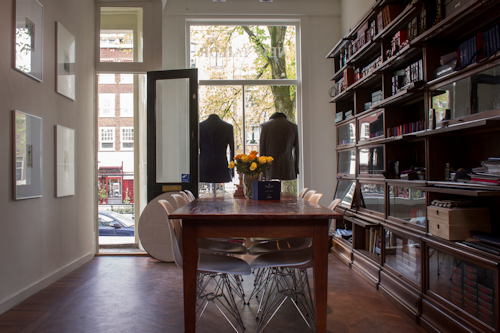 Finally, as promised, on our condensed tour of Amsterdam we arrive at the best tailors in town. 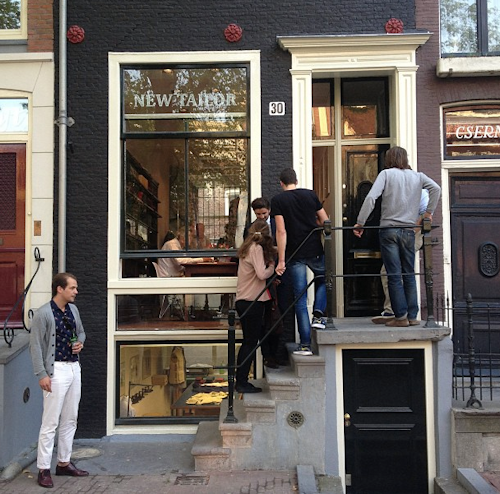 New Tailor is situated in pretty Spiegelgracht street, close to the Rijksmuseum. A canal runs through the centre of the street, with many interesting little independent shops located hereabouts. In fact, Amsterdam is incredibly good for small shops selling interesting things. Get yourself measured up for a suit, which also gives you an excuse to visit Amsterdam again a few weeks later. Discussion Point: Why is the high street dying in Britain? Part answer: Terribly uninteresting shops bereft of local flavour and general dullness of environment. Bring back charm. Charm attracts. New Tailor is headed by dear Roel Wolbrink who started the business 17 years ago. 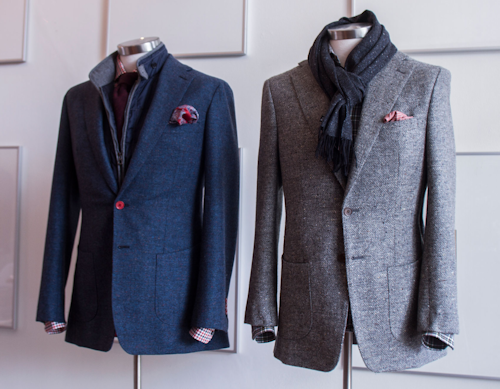 He is driven by a passion for the hand-made and for tailoring in particular. They make around 600 suits a year, of which the classic blue and grey business shades are the most popular. The New Tailor shape is typically two-button, single-breasted in the slim-waisted English style, but with narrower trousers to better suit the Dutch body shape. New Tailor uses lots of English clothmakers, some Italian ones too. They are tending more to the English cloths and accessories: stocking Thurston braces, Pantherella socks, Drakes London ties (soon) and Fox umbrellas. New Tailor offers 4 types of suit manufacture. Following a detailed measurement, each offering has extensive choice of cloths, linings and details. The figure denotes the time spent on making the suit. The 8 Suit has a half-canvas construction with roped shoulders, and is made in England. The 16 suit is fully-canvassed with more choice on construction to the 8, and is made in England. The 24 suit is fully-canvassed with more choice on construction to the 16, and is made in Italy. 90% of the suit is constructed by hand. 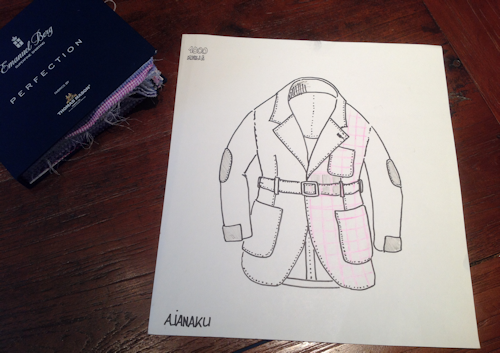 The 48 Suit is completely bespoke and completely hand-made, and is constructed on-site in the basement of New Tailor. 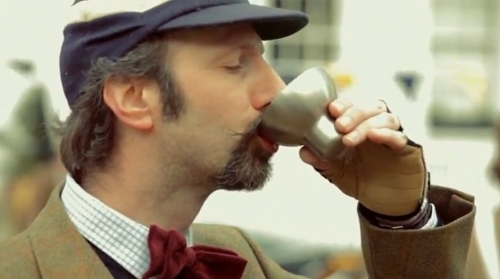 The connoisseur's option. Of course, once New Tailor has your measurements, suits are not the only option. For example, they've made racing jackets, Norfolk jackets and cycling raincoats in collaboration with customers, where they have built an understanding of their needs and preferences. The raincoats sound very interesting. They have cloth to drape over handlebars to keep your hands dry and reflective material under the collar. 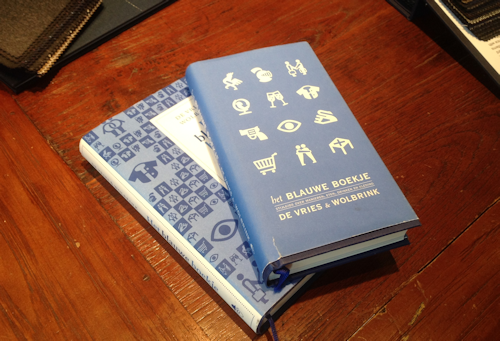 Roel has also written a couple of books on style and dress — Het Bloauwe Boekje and Kledingvoorschriften. Worth tracking down my Dutch-speaking chums. A Suitable Sheep — a charming promotional book for New Tailor (see video excerpt below) — shows the processes needed to take wool from a sheep and prepare it as cloth for use in creating a suit. After you've picked up your suit from New Tailor, we'll finish with a couple of places in Amsterdam where you may want to wear it or take it off. Why not try the Deco cinemas Pathé Tuschinski (1921) and The Movies (1912). Relax in Sauna Deco, a sauna and steam rooms with a Deco interior that originally came from a French department store.